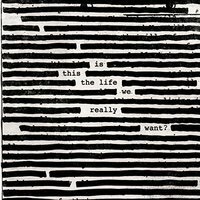 The updated 2015 edition of the excellent Roger Waters solo album from 1992, Amused to Death, has been released today. Aside from updated artwork, the CD/Blu-ray release also includes an updated 5.1 surround mix by longtime producer/engineer James Guthrie. As part of the release, an interesting series of videos of Roger discussing the album and each track have also been released.